Perhaps I am clinging on to a dying breed. But I like it and one day maybe it'll be on trend again like knitting or newsboys caps, which pop up again and again. "If you need a break - take a break - live your life. It will be good." "If you don't really like blogging, it's okay to stop blogging. It will be good." "If you are maxed out then reel it in, stop trying to keep up, and get back to why you fell in love with blogging in the first place, be it the journaling, the community, the photo dumps, or because deep down you always wanted to be an essayist. It will be good." "If you love your little blog with its little following and your little creative space where you can come and go as needed then keep going. It will be good." I'll be honest, those little blogs are my favorite. Of course there are a few blogs with larger followings (I'm talking 5k or more FB followers) that I still read but mostly I am drawn to the smaller blogs. The ones that are pretty and crisp looking but still honest and vulnerable and fun. They are just as likely to share a burden with their readers as they are a favorite recipe or pictures of a fun party. They feel like... friends. Some of them write things I agree with, some of them don't. Some of them carry very similar crosses as mine and some of them don't. All of them are pursuing Christ and I have found that their companionship has helped me in my pursuit for which I am very grateful. One of those little blogs has a new home and a new name and I wanted to share it with you because I'm still on "maternity leave" but mostly because Ashley is just wonderful. Five years ago, when we were still figuring out just who and how James would be Ashley had enough courage and compassion and charity to tell me the truth: James might not be okay. There might not be a miracle. Having a family member with severe disabilities would be hard. Her words meant a lot to me; in fact they still do. I am still grateful that God sent a person to acknowledge my fears and that she was able to speak to me in the exact language that would impact me as needed. I know that's probably weird but it was a blessing and I have followed Ashley ever since. So if you're looking for that kind of blogger - someone who is brave and kind, someone who can be fun and funny and honest - Ashley and This Good Life are exactly who and what you're looking for. And if you want to find more possibly-new-to-you blogs to love and follow, well, I'll be hosting the Sheenazing Blogger Awards again this year once maternity leave is over. Gonna go hunt down a new blog to stalk, I mean read :) Love the recommendation! One day I will get to meet you and tell you all the ways that your faith & your story have impacted me and my family in ways you just can't imagine. For real. I love you, girl! 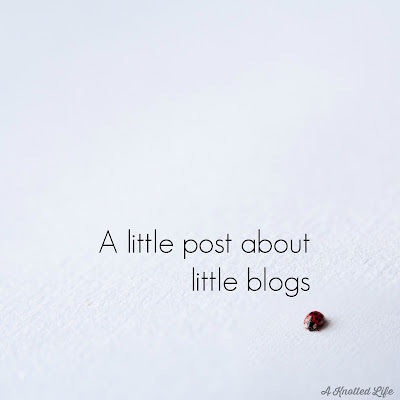 I also love little blogs...they are just terrific. They are more like a friend. Big blogs are also fun to read, but a little more like companies (even if they aren't selling) than friends. The best is a combo of both. PS I'm looking forward to meeting you at the women's conference in June! You know my sisters-in-law and we are excited to be at the conference together. 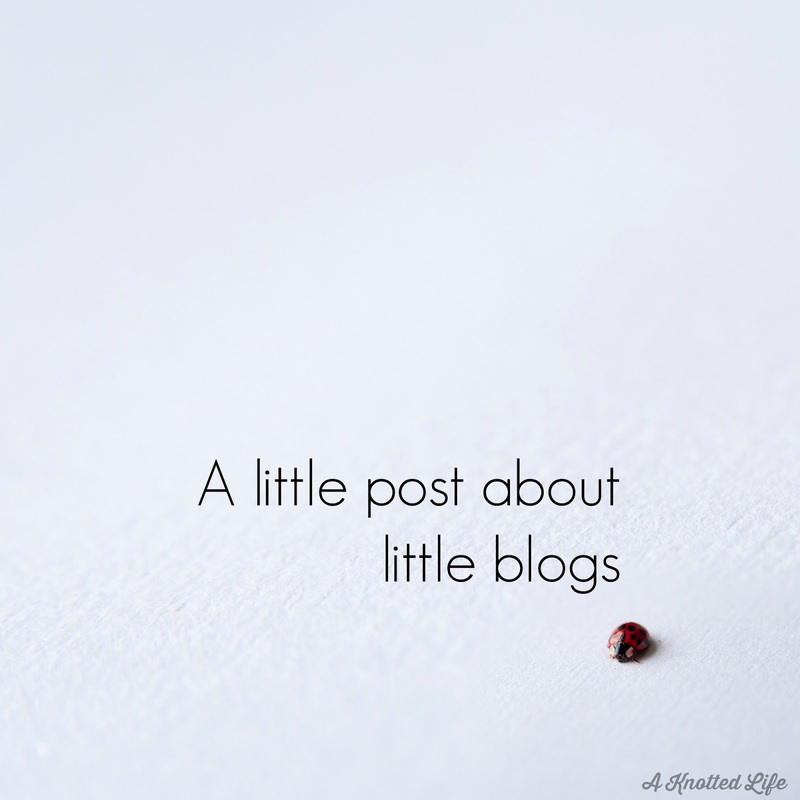 I love this post, and I love little blogs too. I love the "realness" of them. Agree! I just went through my Bloglovin' app last weekend and cleared out a bunch of bigger blogs that I just don't read anymore. I kept accidentally missing my favorite smaller blogs since my feed was too full. Ohhhh...thanks for this reminder! And yeah...Ashley is a fun one to follow, for sure!! i'm glad that ashley was able to speak to you in that way 5 years ago. while i'm not in your exact situation, i have a special kiddo and i am grateful for the mamas like mary lenaburg who are very real about their daily struggles and give me courage to keep going. parenting my son has been hard but every struggle has been so completely worth it. I loved this post. As a "little blogger"...its nice to get to know other bloggers. Thanks, Bonnie! Love this! There is such truth in a blog meant for no one's eyes in particulars, just a processing and out pouring of sincerity. Writing for writing sake.